Google Now is an interesting thing on Android devices. It lets you perform various tasks quickly. You call, send message, play music, open camera and more. Google also keeps on adding more voice commands to improve this for users. Now, Google has added the support to send messages to messaging apps by using Google Now voice commands. Supported apps are Whatsapp, Viber, Hike and few other apps. So, you can send messages to your contact without touch your phone. Process is simple. It same as using other things via Google Now. 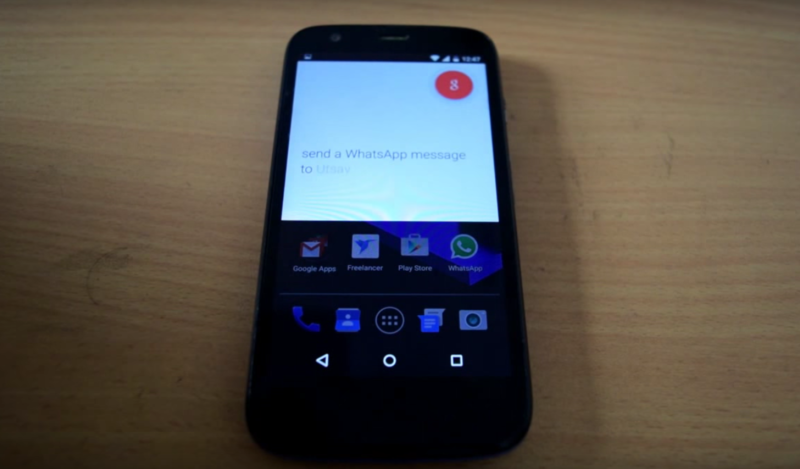 Just say, ‘Ok Google, send WhatsApp message to Contact name.‘ Then Google will ask you to speak your message. Once you have done with speaking the message, it will ask you to confirm the send. Similarly, use for other messaging apps. By following above ways, you will be able to send WhatsApp message to any contact without even touching your phone. This addition is helpful when your hands are busy but you want to send a message urgently. If you still have any issue, I have also created a video for this. If you still face any trouble, you can ask us in comments.